We often recommend that clients conduct an HR audit as a preliminary step in the HR Outsourcing process. An HR compliance audit can provide a baseline that can help prioritize your Human Resource needs and objectives moving forward. Smart HR Audits come in two-parts. The first (and most important) procedure in the Smart HR Audit program is taking steps to ensure that your company is compliant with state, federal, and local laws and regulations. This can include a variety of complicated tasks including taking steps to ensure employees are being paid adequately and appropriately, or are hired (or terminated) in accordance with civil rights laws. HR compliance audits can help your business avoid HR headaches and costly financial penalties in the future. 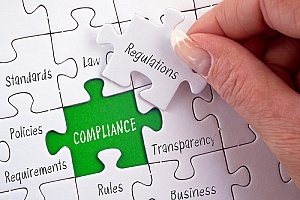 With business laws constantly changing, it is becoming increasingly difficult for business owners to stay on top of regulations, and to adjust practices quickly enough to remain compliant. HR compliance audits are a solution to make sure your organization’s policies and practices are aligned with external regulations and laws, thereby protecting you and your business from potentially harmful legal action. Once the audit is completed, clients receive an easy to read report followed by an in-person debriefing of our findings and recommendations. A properly executed HR Audit will reveal problem areas and provide recommendations and suggestions that can be implemented moving forward in the HR outsourcing process. We hope this post has helped you recognize the incredible value of a preliminary HR Audit. Remember, it’s simply a way by which HR consultants can evaluate your company’s strengths and identify any needs for improvement with regard to your human resource ecosystem. In other words, it’s how HR consultants gauge what’s working and what needs work. Contact us today to learn more!